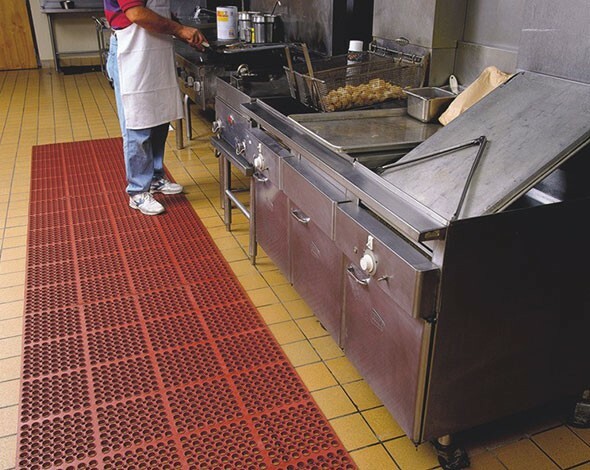 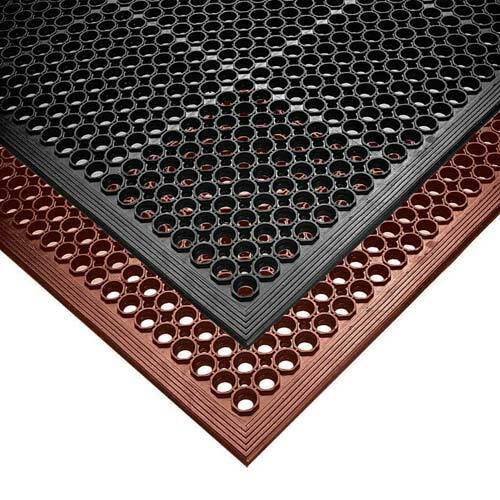 Comfort Mate Red and Black are designed with large holes for maximum drainage. 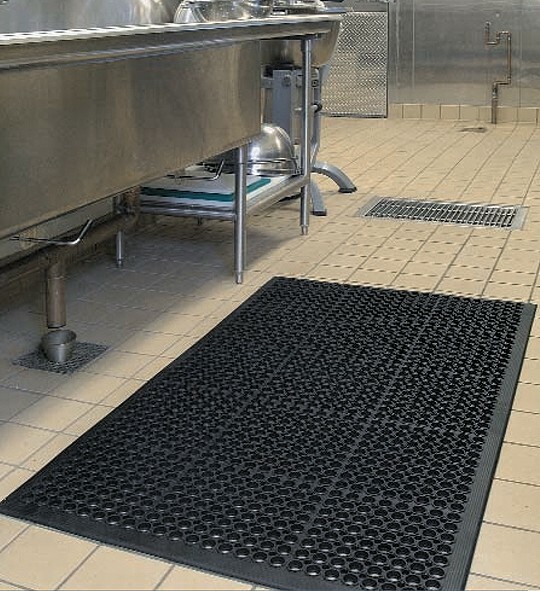 Recommended for kitchens and industrial applications. 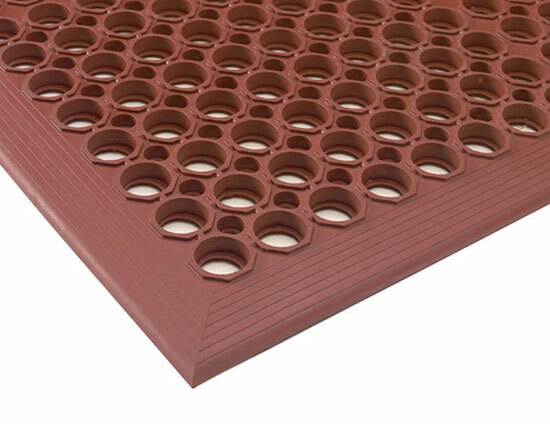 The 7/8″ thick comfort mate edges are squared off.